It’s all about tapping into our inner feminine wisdom. Women run on a 28-day cycle, rather than the male 24-hour cycle. Instead of pushing, hustling, and grinding it out like men do, here’s how to do less, to reclaim your time and energy. Let me guess… your day ahead is jam-packed with back-to-back meetings. You dart here, there, and everywhere, and you’re nervous about how to get it all done. My guest today is Kate Northrup, author of Do Less: A Revolutionary Approach to Time Management for Busy Moms. Kate Northrup simplifies how to reclaim your time and energy, in a brand new way. In Kate’s book, there are 14 simple experiments that you can apply immediately in your life. We take a deep dive in to Experiment #4 (Check Your Vitals) and Experiment #7 (Simplify). Kate shares a couple of simple, practical tips that will help you save time and boost your energy. So, if you’re ready to get off the “I’m so busy” train, and want to have enough time for the things that matter most in your life, this one is especially for you. I’m here to tell you, it’s possible, and Kate is going to show us how. Date-map when the four phases fall in your cycle, and start planning how you could align your work with your cycle to optimise your energy. Share it with me, privately or publicly, by snapping a photo of you doing the thing and tag @thesimplifiers on Instagram for added accountability and support! FREEBIE: Have More by Doing Less: a free guide with 3 simple steps to create space for what matters most – email sign up to receive your free guide. Bonus gifts: Preorder your copy of Do Less: A Revolutionary Approach to Time Management for Busy Moms, And Get get 4 Incredible Bonuses! Would you like me to speak at your upcoming conference, workshop or retreat? I want to meet you! I’ll be on tour in the states in April 2019 and I’d love to come and speak in your hometown! Plus, if your event has a taco bar, go ahead and COUNT ME IN. No matter if your event is big or small, let’s chat. I want to meet you! 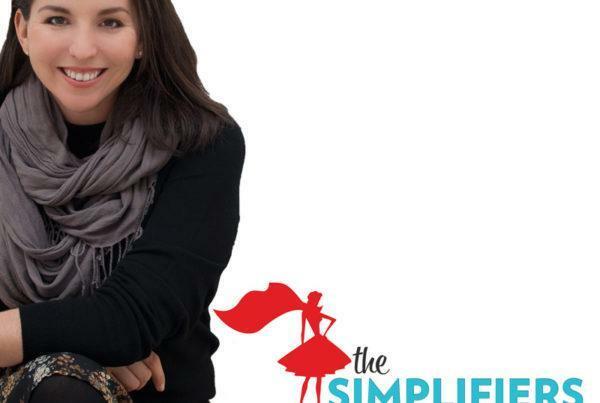 Go to thesimplifiers.com/speak to learn more about the topics I love to speak on and to get the ball rolling! Kate is an entrepreneur, bestselling author, speaker, and mother. She has built a multimedia digital empire with her husband, Mike Watts, that reaches hundreds of thousands globally. As a couple, Kate and Mike are committed to supporting ambitious women to light up the world without burning themselves out in the process. At the core, Kate teaches time and energy management practices that result in saving time, making more money, and experiencing less stress. Featured in Women’s Health, Yahoo! Finance, The Today Show, the Huffington Post and more, Kate wants to show us today how we can do less and have more in life. Patricia Moreno – Founder of Spiritual Fitness, creator of the intenSati Method, spiritual teacher, keynote speaker. If you’re a female business owner, get connected into the Work.by Design online network to help you grow your business and simplify your life!